One of my favourite comedy-detective stories is The Thin Man by Dashiell Hammett. Hammett is probably better known for The Maltese Falcon, though The Thin Man was also very popular and spawned five additional films featuring the main characters, Nick and Nora Charles. In the films, William Powell and Myrna Loy play Nick and Nora. While William Powell is excellent as the hard-drinking, fun-loving Nick, Myrna Loy steals the films with her elegant beauty and her wonderful sense of comic timing. Whenever she appears on screen, your eye is drawn to her and the films are worth watching for her performances alone. The storyline of The Thin Man centres on former private detective Nick Charles who travels to New York for the Christmas season with his wealthy wife, Nora. There, they discover that a successful inventor has disappeared and a reluctant Nick sets out to find him. The twists and turns of the plot lead to a classic dénouement scene, a motif of The Thin Man series, where Nick gathers all the suspects together before identifying the culprit. 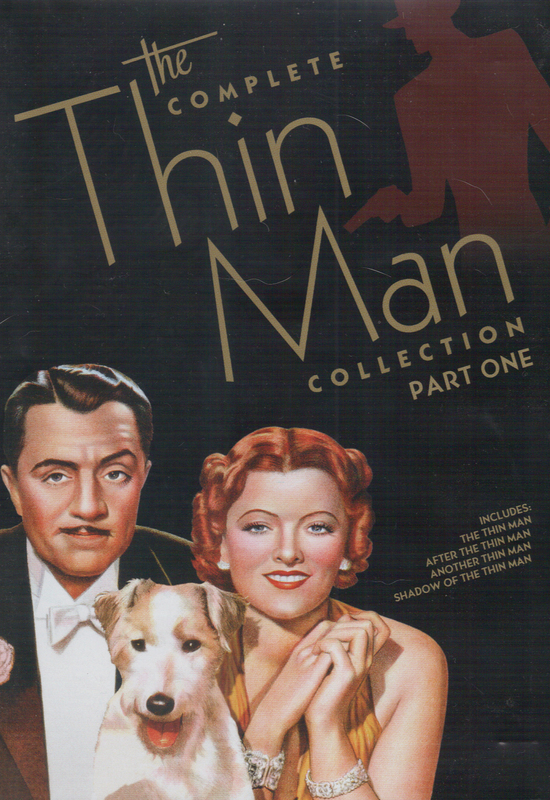 Hugely successful, The Thin Man became one of the top ten films of 1934. While the film is worth watching for its mystery element, the real delight of The Thin Man, and its sequels, is the witty and sophisticated dialogue. Indeed, the interplay between William Powell and Myrna Loy was so good that many people thought they were married in real life. In a classic scene from the film, the police search Nick and Nora’s apartment. Nora observes a police officer rummaging through her possessions and exclaims, “What’s that man doing in my drawers?” causing Nick to spit out his drink (in the first Thin Man film, Nick always has a drink to hand) and hundreds of theatre operators to censor the line – this was 1934, after all.